Parents play an important role in the development of their baby’s brain. They are their baby’s most important connection to the world. Parents interact daily with their baby. These interactions have life-long effects on the baby’s ability to reach full potential. This ready-to-use workshop is for service providers wishing to offer a workshop on Brain development to parents and future parents. 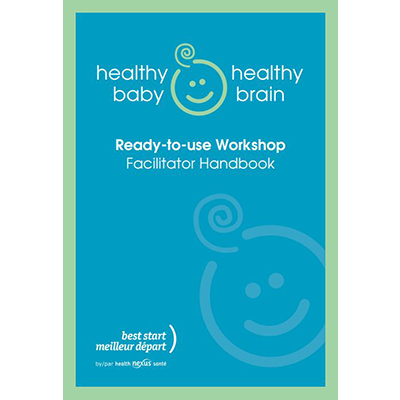 It contains 15 short videos for parents on brain development, and an accompanying facilitator guide with suggestions, tips and recommendations for service providers to help parents and future parents support their baby’s brain development. Below are the videos in English for this workshop. The entire workshop is also available in French.